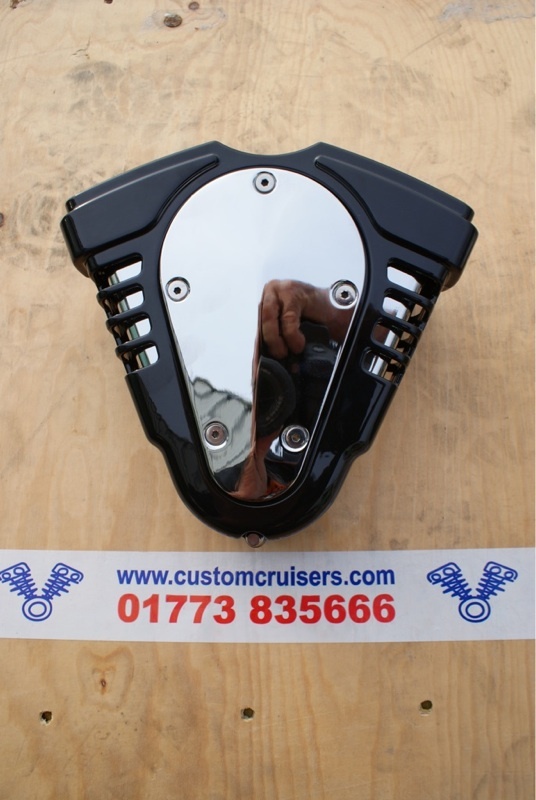 Kuryakyn Gloss Black Twin Velocity Air Cleaner Kuryakyn 9823 99 & Up Twin Cam Harley Davidson Big Twins Special Offer! while stocks last! great for your Night Train, Street Bob, or other mean black machine!! This rare discontinued Küryakyn air cleaners are now offered in UK from Custom Cruisers Ltd in stunning Gloss black with chrome trap door ! A perfect choice for Night Trains and FXDX's! Even the most potent of high performance motors won't reach it's stride without plenty of good clean air. As popular engine sizes grow & performance combinations continue to improve, the need for more, unrestricted airflow is more important than ever. 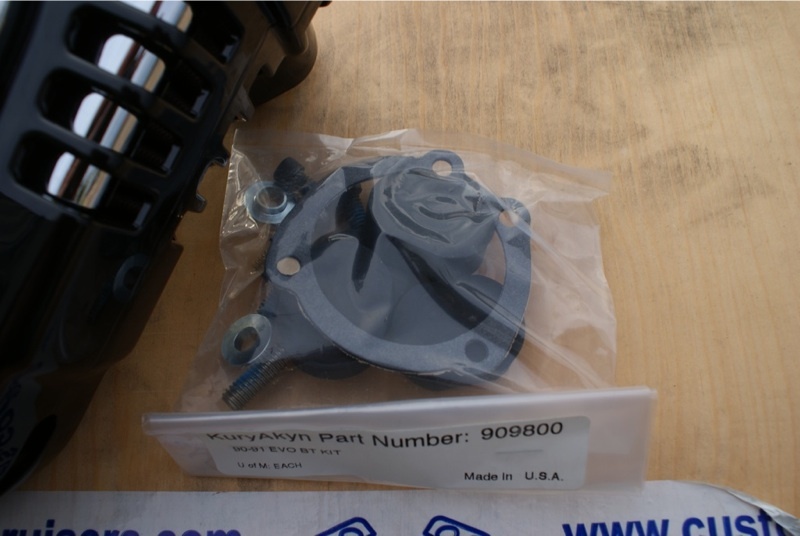 Until now, with the state of current air filter technology, the only ways to improve an air cleaner's flow were to make it larger or manipulate inner shapes & inlet locations. As long as cruisers are fitted with an air cleaner on one side of the bike, in close proximity to the rider's leg, the limitations become obvious. The Twin Velocity Plus Air Cleaner has achieved a massive increase in airflow over competing designs (about the same as the Pro-Series Hypercharger)while not intruding into the driver's leg room.